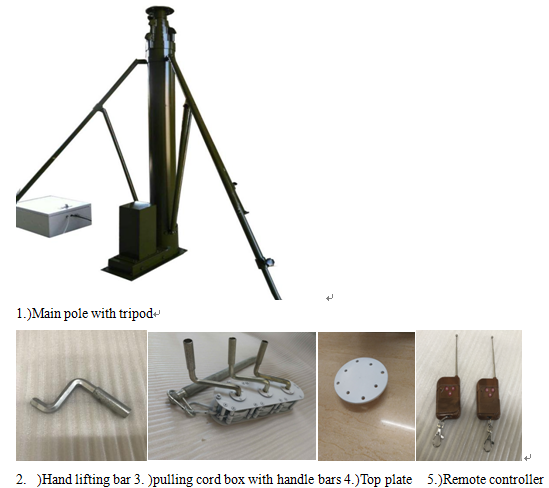 Each unit of motorized telescopic camera pole (main pole and all accessories) to be wrapped with Poly tapes and then into a wooden case. The Control box to be packed into a separate wooden case. Painting into any color, or original Galv color/aluminum color. Most of the customers prefer army green. 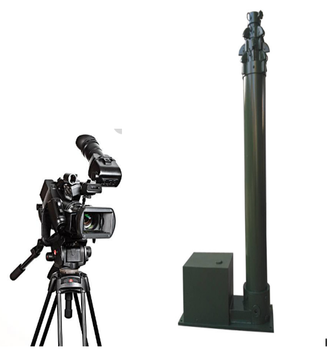 The whole unit will be in army green when closed, but when extended, the main pole will be in origin color of aluminum alloy only with top 4cm of each pole section in army green color. soccer stadium lighting at night. Except the damages due to misuse,unauthorized modification and man-made sabotage, the damaged parts will enjoyed free after-sales maintenance within one year's time from the date of delivery on the condition that the buyer himself will bear the shipping cost back and forth and the said damage should be confirmed by the seller through photos and description. 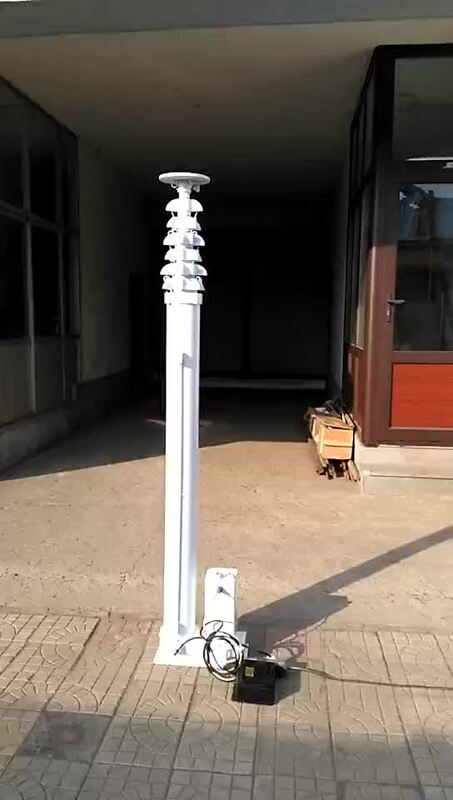 Telescopic antenna mast can help lamplight, camera, Antenna, mobile and other equipment rise and drop to a predetermined height after its work. 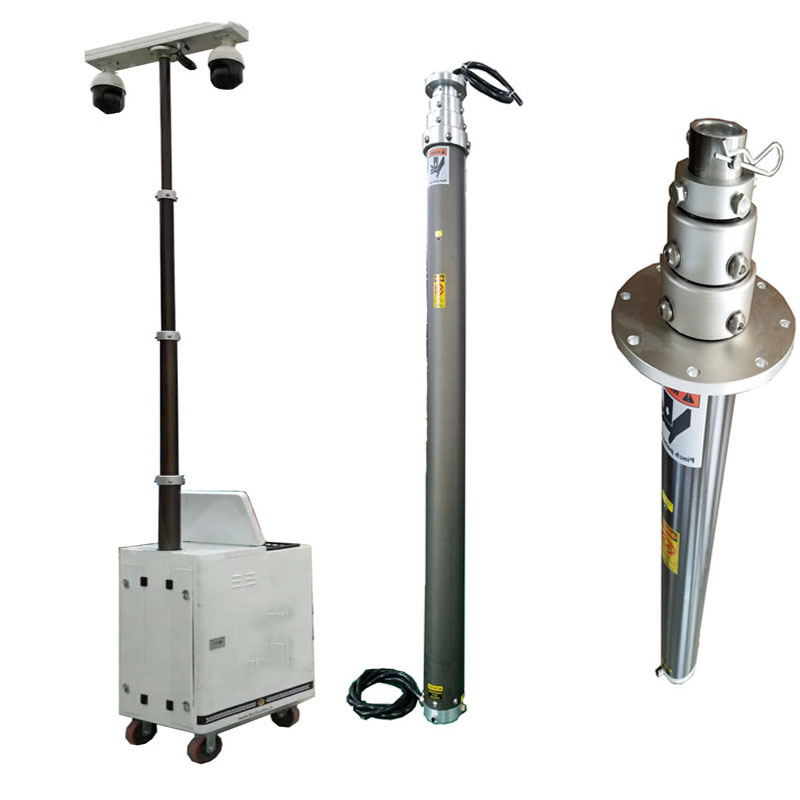 With extended length from 2 meters to 45 meters, the largest pay load up to 300 kgs, it also plays an important role in natural disasters, emergency rescue at night and lightning at the Golf course and large football field.